Dealing with movie/book/television spoilers is always a dicey subject. For this puzzle, I wanted to only fill the grid with twist endings that 99% of puzzle solvers will either already know, or won't care about getting spoiled. If you haven't seen "Citizen Kane" yet, you're probably resigned to not seeing it with fresh eyes. It would have been cruel to have clues like "[BLANK] dies in Game of Thrones," because I imagine the NYT offices would have been immediately stormed by upset fans. That's also why I was determined to split the clues up into two answers, so that simply reading the clue wouldn't spoil the fun. A bit hypocritical, I know. This is my first crossword in the New York Times, and in fact my first crossword accepted anywhere (though certainly not my first crossword submitted anywhere)! I gave myself the bucket list item of having a crossword in the NYT, and I thought once I achieved that, I would stop, but I might be hooked. I'm a huge fan of wordplay and pun-based clues or answers, and since this puzzle is a bit sparse in that department, I'll be doubling down with puns on my next puzzle. SPOILER ALERT! Hopefully, solvers have seen all of these movies already. Thankfully, Grant chose ones with iconic not-really-surprise-anymore endings. Fun pairs, and I like how he presented them, making me work a little to uncover the pairs. 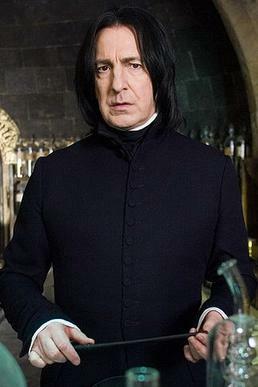 My head nearly exploded when I found out that SNAPE / KILLS DUMBLEDORE. I didn't have nearly as strong a reaction to seeing that EARTH is the PLANET OF THE APES, or that ROSEBUD is Kane's childhood SLED because I had already heard these spoilers long before I saw the movies, but these pairings all brought back some vivid memories. To debut on a Sunday is a tricky business, as 21x21 140-word puzzles are so rough to construct. Grant has an even tougher job than usual, what with so many theme answers (highlighted below). So it's understandable that Will let him slide by with a much easier task of 144-words. I did notice some NOL, IRAE, EAN, STYRO, ARU, USIA, UNHAP, etc. as I solved. But it wasn't much more than a typical Sunday puzzle, so good job there. I often wonder if Will ought to let Sunday puzzles go to 142 or even 144 words. It'd open the Sunday arena to many more constructors; ones who shy away from the 140-word grid because it's really, really difficult. Just as long as I get a good amount of bonus fill to help hold my interest, I don't even notice that a puzzle has a high word count. I like the stuff Grant worked in: SET THE TONE, MARES NESTS, HEAD HONCHO, TAKE A BREAK, IDRIS ELBA (oh how badly I wish he signed up for "Pacific Rim 2" …), so it wasn't until I investigated that I realized the word count was well past Will's max. It might have been nice to have the pairs of answers located closer to each other, so I didn't have to jump all over the grid with the cross-references. But that'd be awfully tough to do. And even though I usually groan at cross-referenced answers because of how they break up my solving flow, I liked how this technique hid the pairs in a sneaky way, making for fun discoveries of each pair. A nice debut. Congrats, Grant! Average word length: 5.10, Scrabble score: 578, Scrabble average: 1.57. Puzzle has 8 fill-in-the-blank clues and 12 cross-reference clues.